Next generation’s Walter Cronkites won’t be learning the traditional tricks and tips used by the journalists of today. Drones could be the next big tool for newsgathering, and some journalism students are getting hands-on experience already. Drones aren’t likely to be approved for commercial use for a few more years, but in the meantime hobbyists are free to purchase and assemble small unmanned aerial vehicles that can hoover close to the earth and offer literally a bird's eye view of the ground. One police department in Colorado has already logged close to 200 hours with their search-and-rescue drones, and the Department of Homeland Security has its own personal fleet for border patrol. But as America enters the dawn of the drone age, will law enforcement agencies be the only ones benefiting from unmanned aerial vehicles? "In 2015, when the FAA is set to begin to relax its prohibition on use and integrate civilian use of drones, then I would think the first folks in the door would be media because there's such an obvious use," Ryan Calo, a law professor at the University of Washington, testified during a Senate hearing earlier this week. Congress is currently trying to put together guidelines for a domestic drone program that will be ready for the big UAV boom expected in just a matter of months, but commercial services and police department won’t be the only ones that will benefit. 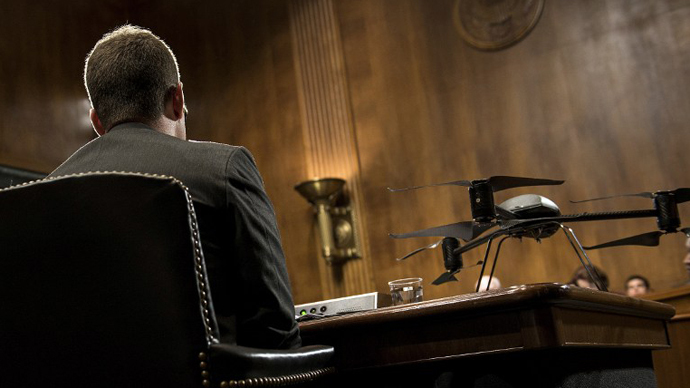 As Calo explained to Congress, using a drone to gather news is an option not often considered. Some would beg to differ. Take Bill Allen, for example. Allen, a science and journalism professor at the University of Missouri, is already making his j-school students use remote controlled drones to help discover what they could do to the industry. "That's news gathering that can happen in your backyard," Pham added to ABC. "That's where the real value is. From my perspective that's what actually expands journalism. 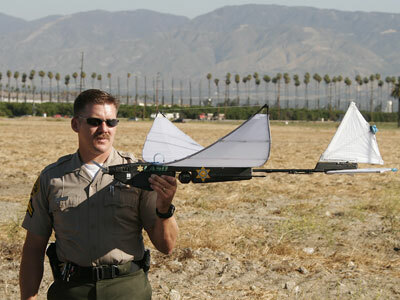 Tools that allow us to get new information and report it, and that's what I think a drone can do." 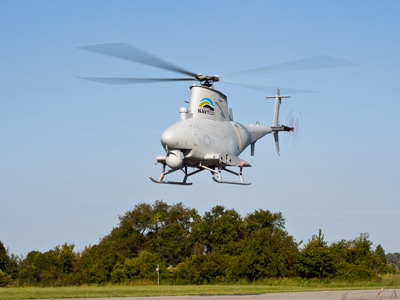 Matthew Dickinson, a system administrator and instructor for the Information Technology Program in the MU Computer Science Department, explains to the school’s engineering department that drones are indeed providing students with a powerful tool unmatched in their industry this side of a costly chopper. “It’s giving the journalism people the chance to get what they could get with a helicopter at one-one thousandth of the price,” Dickinson tells the department’s Marie French. 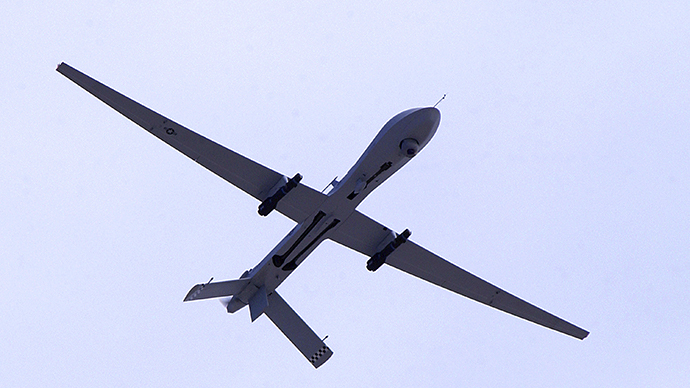 What so-called “j-drones” also do, though, is enough to raise a few worries. National discussion on domestic drones has already focused significantly on the potential privacy violations that could exist if the government is given the go-ahead to use small surveillance UAVs to spy on suspects. 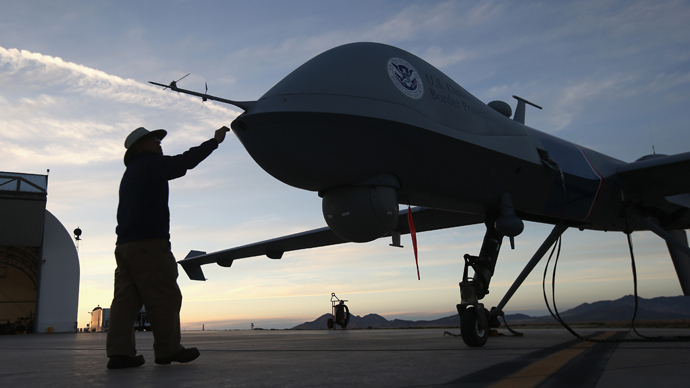 Privacy advocates call the likely onslaught of drones an Orwellian nightmare that would render the Fourth Amendment of the US Constitution almost nonexistent. Such is the reason for congressional committees to investigate the matters now before privacy is pulverized forever. “Rules are necessary to ensure that fundamental standards for fairness, privacy and accountability are understood,” Electronic Privacy Information Center (EPIC) Director Amie Stepanovich testified before the Senate earlier this week. 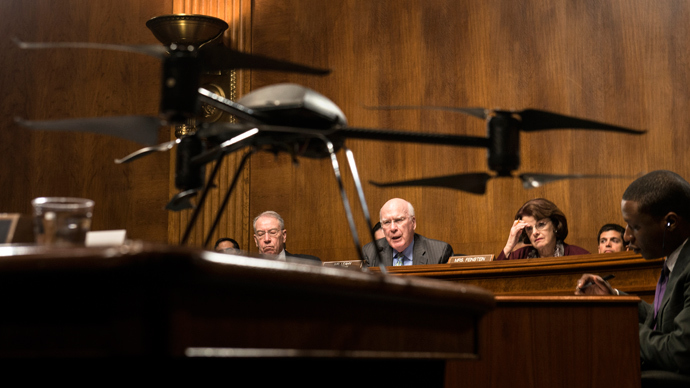 Even Sen. Dianne Feinstein (D-California), who has openly advocated for drone use in the past, seemed unsure at the hearing of what the right thing to do would be to protect Americans from all-watching aircraft. But as Congress and the Federal Aviation Administration accelerate their studies on what drones should and shouldn’t do, hobbyists, educators and students can still operate small aircraft — some as inexpensive as only $300 — to play with what could be the next generation of journalist’s most must-have tool. The University of Nebraska-Lincoln's has already joined Missouri by adding a Drone Journalism course of its own that is teaching other college students not to necessarily be scared of flying, robot devices that can stream images anywhere on Earth.